Maryland resident keyboardist Jeff Logan is an administrator in the Prince George’s County detention center, but his heart beats for his music. Logan launched BASS-mint Records in 2002 to release his albums. Previous recording projects include Soulitude (2002), Mello-Fabulous (2003), Radio-Active (2005) and Gratitude (2007) as well as two 2009 releases: a gospel offering, Destiny, and a collection of neo-soul songs, Love’s Compass. His new album Black Tie Affair (2011) is already available at CDBaby. Logan played all instruments on this album and wrote ten of the twelve songs illustrating his grow of creativity. Sunbreeze spreads sunrays of happiness with a captivating theme and pleasant sound gags. The introducing chords of Black Tie Affair cites Hip Hop elements but soon meanders in a sunny smooth jazz melody. The message of Smile is clear: Keep Smiling! Smoothology 101 is the theory of smoothness, and heartfelt singer Jeff Logan practices this lesson in an R&B attitude. My Favorite Things, a tune from the 1959 Rodgers and Hammerstein musical The Sound of Music is perfectly interpreted by Logan with a great sense for the fine details of the song. Water To Wine reveals Jeff's affinity for his drum machine and sound equipment. In opposite to the title Improvise follows a moderate melody line performed with great charm. Logan also covers Ohio Players' Sweet Sticky Thing. In addition to Gene Dunlap's or Alex Bugnon's interpretation Logan delivers his own rendition. Noteworthy is purposefully constructed in several layers. But Logan's talent really shines, when he follows the melody and doesn't experiment with his enormous arsenal of sounds like on Sand 'n Between. Vocal contributions in the style of Stratosphere surprise with their unique understanding of harmonies. 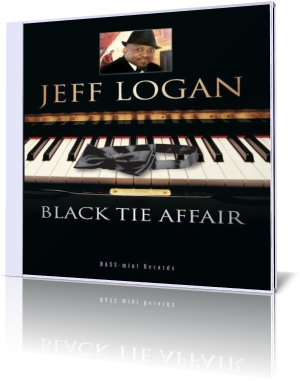 With Black Tie Affair Jeff Logan intends to reach a wider audience. His album offers several promising beginnings to attain this destination.